Last March I held the first Underground farmers and Craft Market at my house. It was a tremendous success. BBC Moneywatch covered it on BBC2, The Evening Standard featured it and 200 people came for the live cooking demonstrations and 38 stalls selling crafts and foods. This time we have live music from the Spanner Jazz Punks, we are starting earlier, at midday, so people can have lunch here. We have a seating area so people can enjoy the bonfire, the band and their food. The idea behind this ‘underground market’ is to give small start up businesses and other supperclubs a showcase to show off their talents. Most farmer’s markets charge stallholders. I’m charging people for entry to the market to enable stall holders to charge lower prices, test the market (literally) and network. 12.15: Kitchen Jezebel will show how to make natural cosmetics. 12.45pm: Rachel McCormack of Catalan cooking will show us how to make a delicious fish dish ‘cod in samfaina sauce’ and also the difference between salted and unsalted cod. 1.30: Mama Lan will show how to make the ‘original pizza’ ….Chinese stuffed pancakes. 2.15: Hiromi Stone will show how to make dashi and rice ‘the soul of Japanese cooking’. 3.45 pm: HandyFace will show how to make halloumi cheese. 4.30: Lorraine of inSpiral cafe will talk about her ‘dietary journey from veggie to vegan to ‘raw-curious’ and demo her home-style raw chocs. 5.15: Dina’s Raw Supperclub will talk about sprouting. 6.15: MsMarmitelover will show how to make pain d’epi. Bristol Vintage will sell vintage crockery, cutlery, and kitchenalia. Yum Yum Chutney is returning to sell their chutneys. Happy Kitchen, a social enterprise bakery in Hackney make gluten free cakes amongst others, all from local seasonal ingredients. TinyInc will sell her crafts and tea cosies. Kitchen Jezebel Brixton supperclub hostess, will be selling natural home made cosmetics, home made aprons. Miss Lenoir and Miss Fairplay of the undergroundteaparty will be selling cups of tea and unusual cakes, lavender, chilli and chocolate..
Mama Lan’s Chinese supperclub will be selling spicy noodles (served with chilli chicken or veggie topping) and vegetarian parcels in crispy tofu skin. 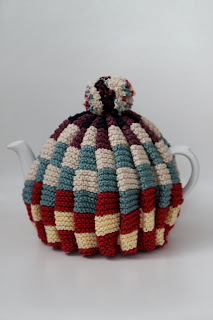 Made by Katie will sell cakes such as carrot, chocolate and guinness, flapjacks, brownies and shortbreads and granola along with some framed vintage coronation flags. Dina’s Raw Barnet supperclub will sell live food. Can be Bribed with food ( supperclub hostess) will again be making her popular empanadas and chilli sauces. Hiromi Stone will be selling Japanese foods, bento boxes. ms marmitelover’s Underground Mexican stall. Tequila shots and salsa. inSpiral café from Camden will be coming to give tastings and sell their raw chocolate products. Hattie Mauleverer of Top Hat Catering will sell home made chutneys such as chilli jam, Rosemary jelly, dill sauce. Souped up will sell, wait for it, soup. Handtomouth kitchen will be selling home made elderflower champagne and various foods. AnnaMae’s Smokehouse will be selling “BBQ’d Pulled Pork stall (properly slow and low smoked 12hr pork with buttermilk rolls and ‘slaw and homemade competition winning BBQ sauce”. Da Carribean Undagroun’ will set up a jerk drum and sell jerk chicken! Christopher Avery has set up a home bakery in Kilburn and will be bringing his cakes! New food company Made with Joy will be giving tasters and selling truly delicious flavoured lassis. 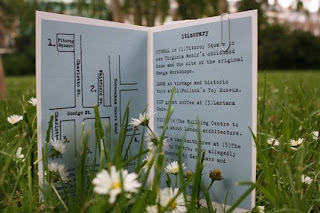 The Next Big Event is a wandering supperclub based up north. They will soon be featured on Channel 4’s Country House Rescue. They will be selling produce from different areas around the UK – all locally sourced and homemade from Staffordshire: oat cakes, bramble jam, Northumbrian chilli sauce and various lunch food. 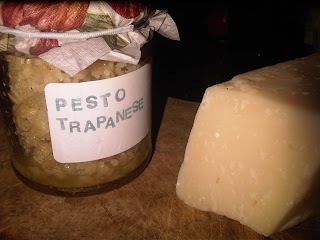 Squisito supper club are showcasing their Italian food (sausages, olives) home made in Warwickshire. Pash and Friend, supperclub hosts from Barnet are selling homemade cheeses, bread and drinks. Riverford Organics will be selling fruit n veg. John the poacher will sell freshly picked mushrooms (plenty of chicken o the woods around right now), sloe gin, wild asparagus, crayfish and prawns. Marcia Vidal will sell silver jewellery from my shed. Afternoon Outings will be selling their unique ‘itinerary’cards. Fellow supperclubber The Rambling Restaurant will do a stall ‘toastesse with the mostesse’ : build your own toastie with home made mustards and chutneys for sale. 2nd of October: probably a French influenced dinner after my trip to Paris. 24th of October another lazy lengthy Underground Lunch. 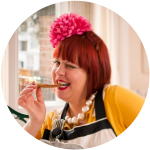 Maybe with a foodie film running in the bedroom… where you can loosen belts and chill on MsMarmitelover’s bed. 20th of November, an exclusive Mongolian and foraged dinner in a yurt with salty buttery Tibetan tea (won’t force you to drink it though). This yurt was featured in one of the Open House architectural days. Feel free to wear the dodgy ethnic clothes that you once bought on holiday and which, on return to grey rainy Britain, looked utterly ridiculous. And weekly dates up to Christmas and New Years Eve, the themes of which will be announced later. Wow. I really wish I lived in London just for this. How an earth do you cram all that into one house – impressive! can't believe I'm missing the ultimate Russian dinner night – I'd be prepared to stand and pose or whatever is required of a Russian to get in:) pozalusta? I thought I would not be free on the day,but in fact I could be…are there any spaces left for a stall? I am the one who does Shetland Lace and flower brooches. It was great last time, I loved visiting the other stalls too! Sounds like a fabulous line up, I wish I was able to come but alas will have to wait for the 3rd one now! Oh wow, this sounds AMAZING. I am so there!